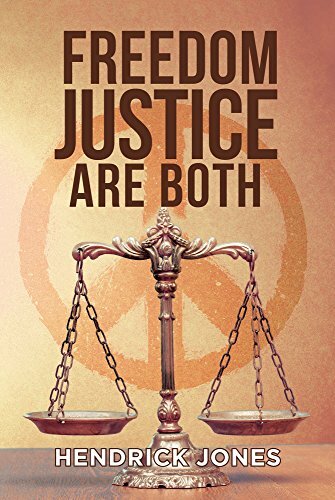 Readers who are looking for an intimate view into the life of a man who has been through rough times will find that in Freedom Justice are Both by Hendrick Jones. This is a memoir of sorts: Jones is giving readers a glimpse into his life story. He outlines what he has struggled with and how it has shaped his life. This God-fearing man wanted nothing more than to provide for his family, yet what he has been given is a season pass to pain and suffering. This is not a book to be taken lightly, as this is the very soul of Jones, stripped down and laid bare for all to see. It is undoubtable that Jones feels he has been wronged. He outlines his life very carefully for readers and shows how he feels he has been given the short end of the stick. He reiterates over and over that he doesn’t understand why these turns of events happened to him and he laments the loss of loved ones whose loyalty he heavily questions. Jones bitterly lays out his interpretation of the events that lead him along the path towards medical retirement from seventeen years of police service. It is clear that he is profoundly affected by what has happened; with good reason. This is the story of his life, after all. This book will hopefully bring the justice that should have been done in the first place. It has been a long ride of being hungry and lonely for the author. I really hope justice will come, and he will finally be happy and be with his kids again. It’s been so long I wonder, do his kids even know him anymore? I know it’s been a long battle for him. But we all know God got him.